Earn $31.50 in Rewards credit (3150 points) What's This? 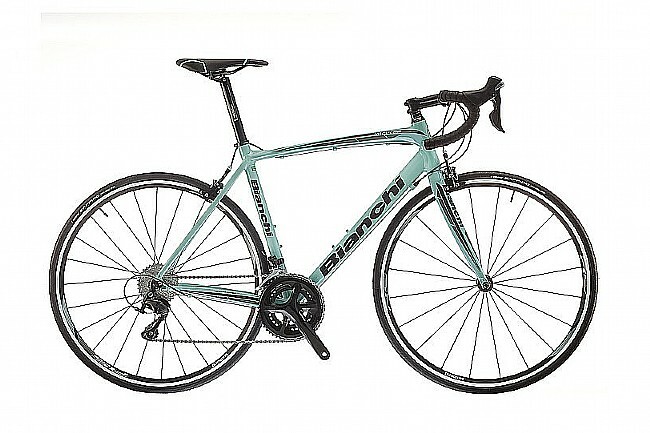 Bianchi’s 2018 Impulso 105 Road Bike features endurance-race geometry that inspires confident steering and a relaxed position that can generate both power and speed. The triple hydroformed aluminum frame delivers stability and responsiveness in cornering. K-VID technology in the aluminum/carbon fork yields vibration dampening while UTSS (Ultra Thin Seat Stays) at the rear of the bike mitigates vibration traveling up into the saddle. The Shimano 105 drivetrain with 50x34T chainrings and an 11-32T cassette supports a wide range of riding styles. Frame Material: Impulso triple-hydroformed aluminum. Brakeset: Reparto Corse dual-pivot caliper. Spokes: Stainless steel, 20 radial (front); 24 crossed (rear).